It is important that you obtain early advice from a lawyer. Limitation periods can operate to deny otherwise valid claims. 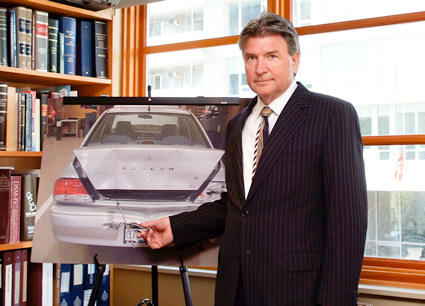 Do not make statements to ICBC or any insurance investigator until you have taken legal advice. Photographs can be invaluable to assist with a fair settlement of your claim. Recording witness names and contact information may help to preserve your rights. If you are injured seek early medical assistance. Accurately report injuries to medical personnel while neither minimizing nor exaggerating symptoms. This will assist the treating medical advisor in later preparing an effective and useful report that advances your right to full compensation. Please click the following links to view or print the following documents which can be used to help you better understand the various aspects of a personal injury case or record some of the information required to prosecute your action. Client Information On Personal Injury. Need to know more - ask Jack Andersen!